NOTE: This venue will cease operations from March 31, 2017. 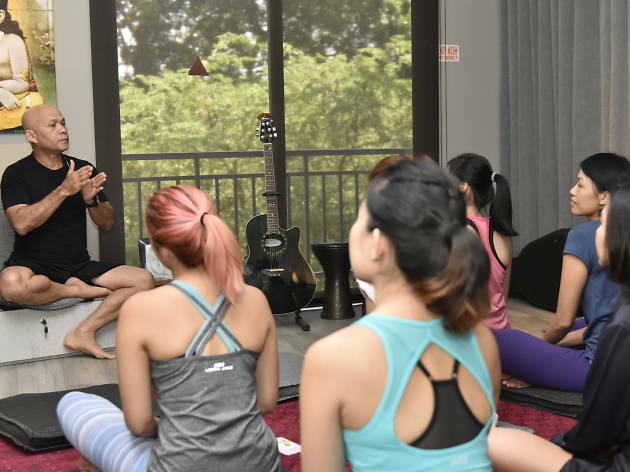 Singapore School of Meditation and Yoga (SSMY) aims to help all new and veteran yoga practitioners strengthen their minds and bodies with the art of meditation and yoga. Founded by Sriman Japadas, this therapeutic facility resembles a cosy living room. Guided mindful meditation and yoga kirtan classes are offered free – yes, you can just rock up to any of these classes to clear your mind without reaching into your wallet. Other yoga classes available are aroma yoga, hot cardio and hatha ($45). 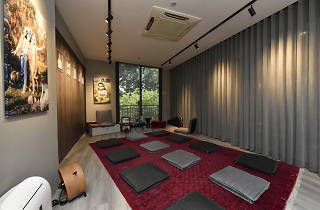 I started practicing yoga at SSMY since October and it is definitely one of the best yoga studios that I have attended. 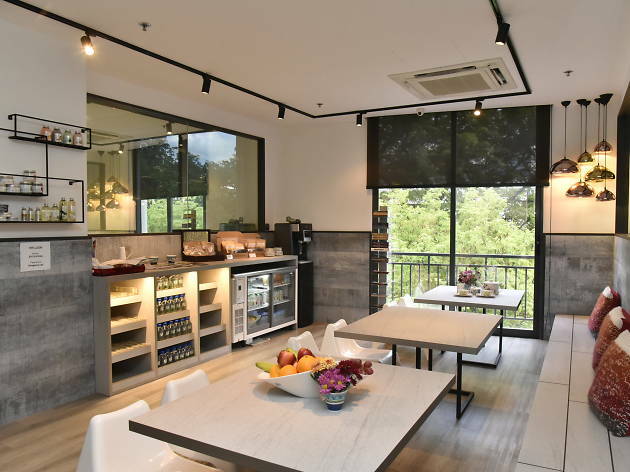 What I love about SSMY is the convenient location, the cleanliness of the yoga studio, the friendliness of the staff and the variety of classes offered. Furthermore, class size is kept small thus it allows the teacher to adjust each and every student when required. All the Teachers are also very skilful and they focus on getting you to the right alignment. The free meditation class is definitely a plus point as well. I've been to the old SSMY studio in Tras Street sometime back and I thought it was candid, charming and intimate with only meditation a few yoga classes being offered. When they moved to a much bigger space at the Regency House in Penang Road middle of this year, I was among the first few visitors and I have been visiting regularly since. 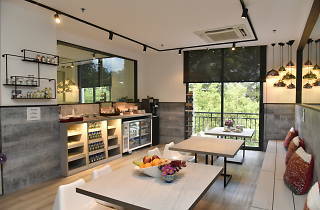 SSMY is a wonderful place to visit if your are seriously pursuing a life of balance and wellness. 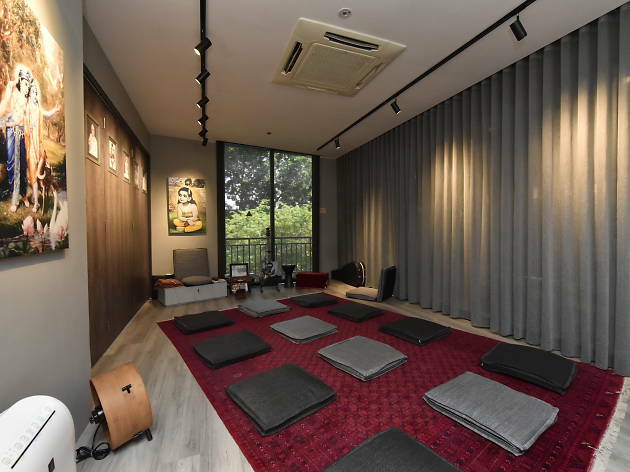 With multiple yoga classes to choose from and boasting of some of the best and highly-professional yoga teachers around - TingTing, Jill, KC, Alma, Irina, Gwen, Amy, Yukiko, to name a few - there's really a lot to like about this place. What more, they offer meditation classes free of charge for those who want to discover themselves (strengths,passions, joys, dreams, etc) in a quieter, slower pace of self-introspection. I also like the uber spacious shower facilities (i think they have about 10 shower stalls) which minimises long queues and waiting time after a yoga session. They offer regular Open House sessions for those who would like to try out at the studio and I highly recommend that you visit. SSMY is my favourite wellness address in Singapore.